The apples collected at Apple Day 2018 have been pressed into almost 500 bottles of apple juice in two varieties: Laxton and mixed. The Bramley/Cox juice from 2017 is still available. The mixed juice is available for sale at Full of Beans in Sawbridgeworth and the other varieties will be sold at local events (or directly from us for large orders). We are delighted to announce that funding for a new print run of this book has been approved. The book should be availabl soon. Please e-mail us if you would be interested. 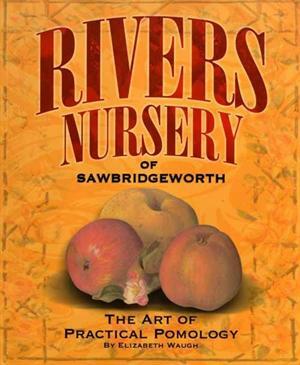 Published in 2009, "Rivers Nursery of Sawbridgeworth" is a book by our own Elizabeth Waugh that looks into the extensive history of the Rivers Nursery, one of the most significant horticultural sites in the world. It explores the family business from its foundation in 1725 until its closure in 1987 including the many contributions to horticulture made on it as well as interviews with people involved in the business just before closure. A review of this book can be found here.